Tonight’s Maker grew up in his Dad’s shop and he jumped right into making by turning a candlestick on a lathe! Brian Watson of Moss and Saltwater Designs didn’t stop there! Armed only with a saw, hammer and nails he built a bike rack that he kept until about 3 years ago! After serving in the United States Army, Brian built the flag for one of his Veteran Brothers. 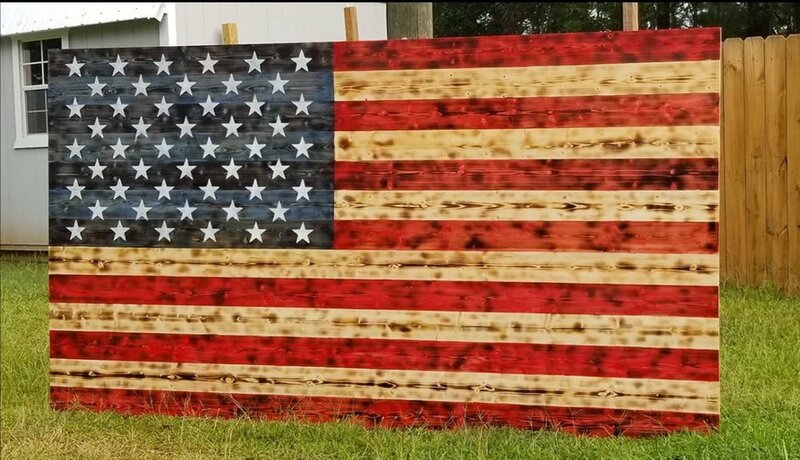 He was told that it is the largest wooden American Flag built. It is 65 inches tall and 120 inches long (5'5 ft x 12 ft). He is waiting to hear back from Guiness book of world records to confirm it. This flag was quite the challenge and amazing to build he states! 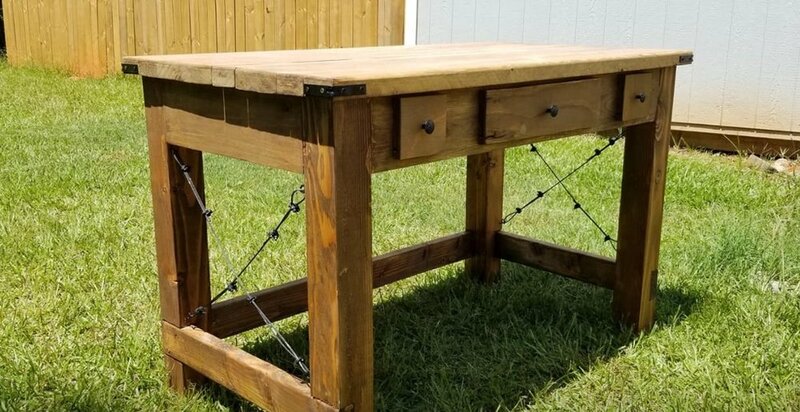 Brian builds custom furniture as shown in the picture of the side tables, but above and beyond is the custom desk he made for a fellow veteran. The use of the hardware shows an excellent choice of design element that sets the tone to the custom furniture. Brian designed rotating earring racks for American Threads, a popular chain of clothing and accessory stores found throughout the South. Brian also shows his turning talent in the bottle stoppers pictured here. Moss and Saltwater Designs also not only specializes in customization and refinishing of furniture, but also of whole spaces in the house as evidenced by the picture of an update to a fireplace area that was definitely brightened up pulling out the clean lines of the fireplace and bookcases. Check out Moss and Saltwater on Facebook and Instagram! Follow the links and find his Mudroom Makeover!